Combining dream pop, R&B, electronic, and hip-hop influences into futuristic yet familiar-sounding songs, Grimes' Claire Boucher became one of the most distinctive artists of the 2010s. The ethereal sonics that surrounded her unmistakable soprano on early releases such as 2010's Halfaxa became crisper and more diverse on 2012's widely acclaimed Visions and 2015's Art Angels, which incorporated touches of country and metal into its freewheeling sounds. As the decade drew to a close, Grimes was an in-demand collaborator with artists as wide-ranging as Janelle Monáe and Bring Me the Horizon. Born and raised in Vancouver, British Columbia, Canada, Boucher moved to Montreal in 2006 to study neuroscience at McGill University. She began making music as Grimes a year later, using the layered structures of Panda Bear's Person Pitch as an inspiration for her own approach to songwriting. During this time, she and her friends staged shows at an old textile factory that they dubbed Lab Synthèse. The scene that spawned Lab Synthèse also founded Arbutus Records, the label that released Boucher's early work. Two songs released under her own name appeared on a 2009 sampler from the label; her first two albums as Grimes, Geidi Primes (which was inspired by Frank Herbert's series of Dune books) and Halfaxa, were released in 2010. 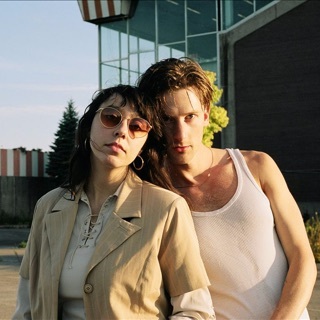 The following year, Boucher left McGill, collaborated on a split EP with d'Eon that was co-released by Arbutus and the like-minded Hippos in Tanks, and appeared on Lykke Li's North American tour before signing to 4AD in late 2011. Her debut for the label, Visions, arrived in early 2012. Its mix of bright pop and dark atmospheres earned instant critical acclaim: the album appeared on many year-end lists and earned a Juno Award for Electronic Album of the Year. 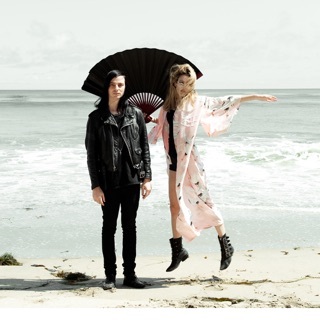 Grimes signed to Jay-Z's Roc Nation management company in 2013, and released the single "Go" in 2014. As she continued to work on her fourth album, she collaborated with Bleachers in 2015 on the song "Entropy" for the HBO TV series Girls and released another single, "REALiTi," which featured a video directed by Boucher. Art Angels, featuring contributions from Janelle Monáe and Taiwanese rapper Aristophanes, arrived late that year. The album topped Billboard's Alternative Album Chart and reached number two on the Billboard Top Independent Album Chart.